Dr. Wilson was born in Memphis, TN. 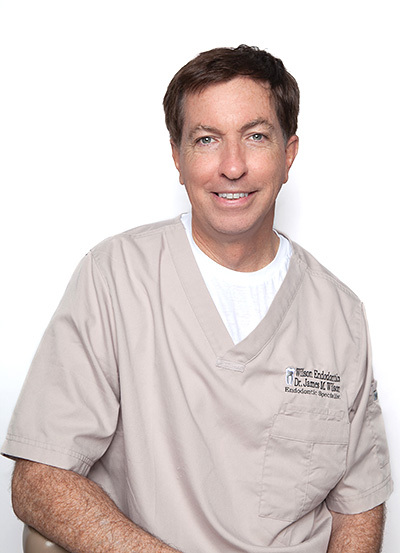 He received his undergraduate degree from the University of Tennessee, Knoxville and his DDS from the University of Tennessee Health Science Center. Dr. Wilson served in the United States Air Force before attending graduate school at the Medical College of Georgia for his Endodontic residency. He has served several terms as the President of the Tennessee Society of Endodontists, worked on Global Mission dentistry teams, and global education training and cultural exchange programs. He and his wife Lisa have two children and are active members of First United Methodist Church and several local charities.